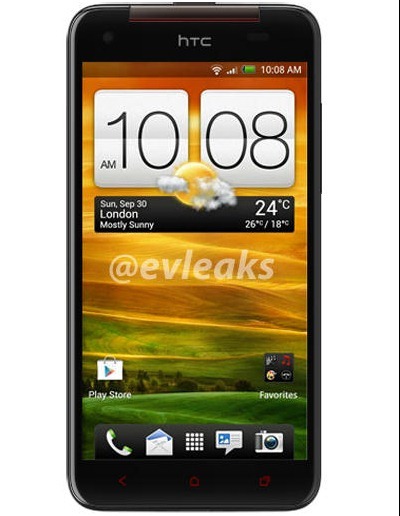 Anonymous leaker of all things phone, evleaks, took the lid off a press render of an upcoming HTC device, which evleaks calls the Deluxe (this is likely just the codename, not the official release branding). Deluxe is a word we've heard before, if it sounds familiar: Verizon's DROID DNA was widely reported as being named the "DROID DLX" before the DNA name started popping up, so that gives Deluxe yet more credence, minus the silly Verizon spelling (yuck). You'll probably also recognize this phone as a dead ringer for the Japanese market HTC J Butterfly, unveiled last month, though without HTC's Japan-specific UI overlay. Given that the J Butterfly and the DNA obviously share a platform, and that this phone is clearly positioned as king of the HTC smartphone kill, it seems eminently likely that a global version will emerge at some time or another. This looks to be that phone. Undoubtedly, we'll be hearing and seeing more of it in the coming weeks.